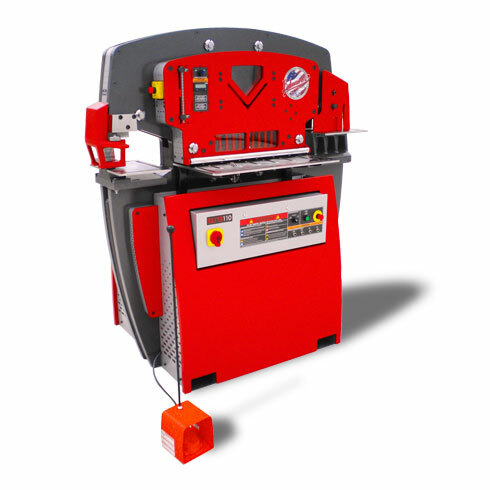 Piranha hydraulic ironworker machines give metal fabrication shops outstanding quality, innovative features, and unparalleled durability. 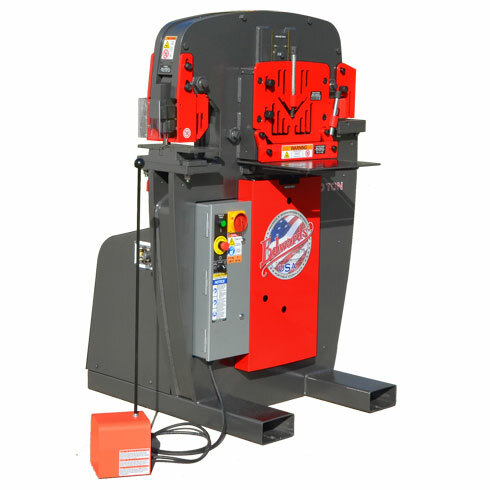 Our ironworkers range from 50 to 140 tons, and include single-operator and dual-operator models. 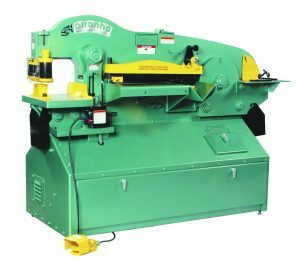 Every Piranha ironworker provides quality work, savings in machine set-up time, versatility through a wide range of tooling and attachments, and superior factory engineering and support. 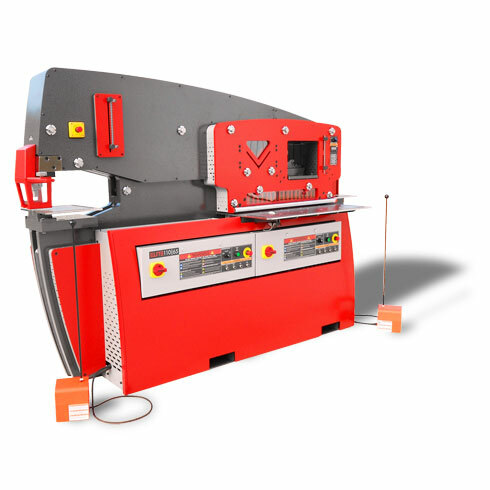 Piranha Single Operator Ironworker machines are capable of performing most fabrication shop applications. However, when two simultaneous operations are required (e.g. 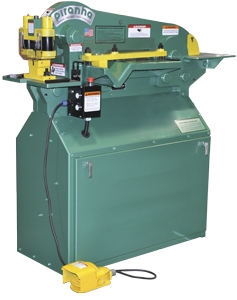 punching and notching), a dual operator ironworker machine fits the bill. These machines handle a number of vital tasks—notching, shearing, punching, and bending, to name a few—that require precision craftsmanship. For anyone whose professional responsibilities include ensuring optimal fabrication productivity, it’s important to know about Piranha ironworkers, a leading brand in the fabrication industry. 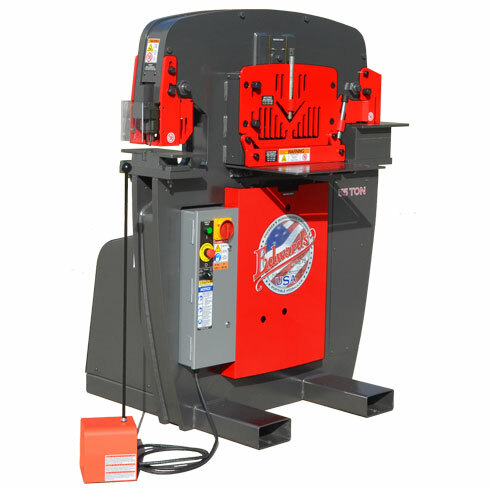 These highly durable, ergonomically designed, uniquely crafted ironworkers come with a variety of useful features and workstations that provide the user with an enormous range of fabrication options. The line of Piranha ironworkers currently available on the market has earned the respect of industry professionals across the nation, and this brand has been linked with consistently high levels of measurable customer satisfaction and high resale values.